This is a Guest Post written by Heidi Hayes. I only share with my readers information that I find fun, informative or helpful! My hope is that the information provided below can help those in need. Whether you are looking to start, or expand your family, we here at Love, Mrs. Mommy wish you the very best! At the age of 35, many women still feel young, full of life, and ready to start a family. However, by this time, nature is often working against them. In a single menstrual cycle, there’s a 20% chance a woman in her 20s will conceive. By her mid-30s, there’s a 15% chance. This drops to 10% by the age of 40, and 3% by 45. As you age, getting pregnant becomes a far more challenging process, with egg-related infertility becoming a major concern. Fortunately, this is a hurdle you can overcome. Many women in their thirties enjoy the sensation of carrying their own child through treatment options like frozen donor egg IVF (you can learn more about this at donoreggbankusa.com). Opting for this method of conceiving allows you to enjoy the natural birthing process you’ve dreamed about for so long. When you begin considering donor egg IVF as a way of experiencing a successful pregnancy, you’ll go through a range of emotions, often facing a battle between your head and heart. Your head is telling you this is the perfect opportunity, while your heart is saying there won’t be a genetic connection between you and your baby. Perhaps egg donation isn’t something you’ve considered before, but it’s an option worth exploring along with adoption or surrogacy. You’ll want to take some time to research the suggestion thoroughly, and even undergo counseling with your partner to come to terms with your emotions. The miracle of egg donation gives you the chance to undergo fertilization with the donor egg so you can carry and deliver your own baby. You’ll be the biological mother in almost every sense. 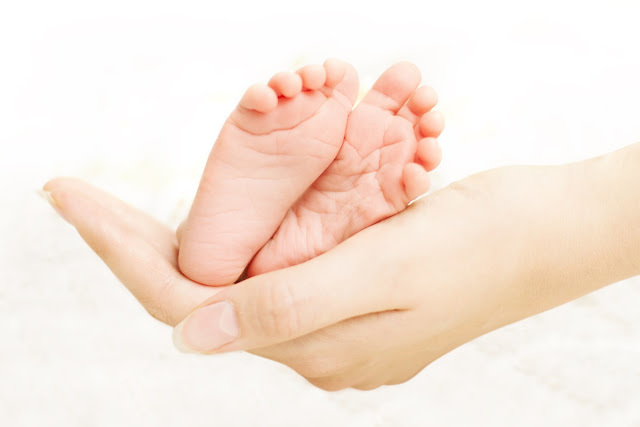 Compared to other infertility solutions, such as adoption, egg donation enables you to experience the prenatal, pregnancy, and birth sensations you’ve yearned for. It means your partner contributes his genetics to the child, allowing you to carry the child of the man you love. You can also enjoy the unbeatable feeling of breastfeeding your child, creating an unbreakable bond between you and your baby. There are two options when looking for an egg donor – finding your own or using eggs from a specialist egg bank. For some, finding an egg donor is the most appealing option, as you have the choice of using your own family’s genetics. However, this process can create awkward family dynamics, and also raises the question of whether or not you should tell your child who their donor is. That’s why many parents opt for an egg bank to find a donor who fulfills their criteria. This presents a number of advantages; including a greater choice of egg donors, full medical and psychological histories of the donors, and anonymity. Frozen egg donation offers even more convenience, as you don’t have to synchronize your cycle to the donor’s or travel to their clinic for treatment. These added bonuses make the process less expensive and less time- consuming than fresh donor egg. To start, the egg donor goes through an ovulation induction, whereby she has two weeks of fertility injections before her eggs are retrieved and frozen. Then, when you’re ready for your treatment, you’ll prepare your uterus by taking a combination of progesterone and estrogen hormones. This helps thicken the lining of your uterus to be ready for implantation. The donor eggs are thawed, and then fertilized with your partner’s sperm to become embryos. These are incubated for three to five days before 1-2 are transferred to your uterus. You’ll experience a whole host of emotions during this decision-making process, but all of these are 100% normal. You may feel angry that your body has let you down, or elated that you have finally found a positive solution to your infertility. Over the coming weeks and months, you’ll feel like you’re riding a rollercoaster. However, this will end with an exhilarating high as you experience the wonderful feeling of knowing your baby is growing inside you. After such a long time of facing seemingly impossible hurdles, now’s your chance to start a new journey toward the perfect family you’ve always dreamed of.